First, I want to express that I’m truly grateful for my readers. The little ones who read my children’s books and you, who keep up with me here. I feel that, together, we can do wonderful things, and I hope we can spread some of this goodwill around because… gratitude is powerful. It’s not magic, but as people recognize good things in their lives, they realize that at least part of that goodness comes from somewhere outside of themselves. So, it subtly helps us connect to a higher power. The studies involved comparing people who were asked to write down things, during the week, that they were grateful for vs people asked to write down things that irritated them. After ten weeks, the grateful group were happier, healthier and more optimistic. Managers who thanked their workers would see more motivation from their employees to work harder. If you start your day with the thought of gratitude, it sets the right tone for your day. Research also shows that people who cultivate gratitude trust joy more. 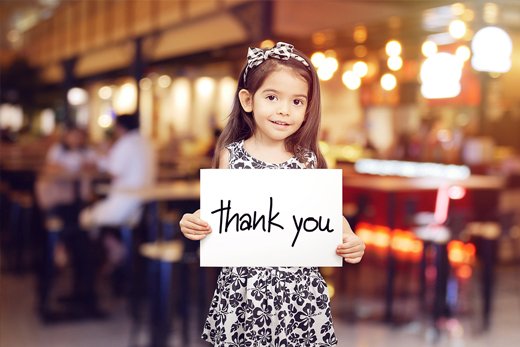 Instead of being suspicious or even secretly scared of joyful moments, an attitude of gratitude allows you to internalize and melt into joyful moments. So, here is the rub in my life… maybe you can relate… I am a very happy person filled with gratitude and many, many blessings. However, just about every minute of the day my heart aches (physically aches) to do more for society… to rally people… to create a call to action to help make the world a better place especially by focusing on the well-being of children. Mental wellness, behavioral counseling, setting children up for success is possible – I know it is – I feel it in my bones; it is a drum in my heart that pounds “Karen, do more to help the children.” It is a message from God. I think about this constantly, and the idea I came up with is to ask companies and individuals to purchase a total 250 copies of “Angels on Your Pillow” this holiday season and donate them to charities for children. $20.00 per book will include shipping and a personalized messages of the donor’s choice. Please help me bring this mission to life! Example: a case of 27 books could be donated to Catholic Charities and the cost of $540.00 is tax deductible. A donation of 5 books to your favorite church, library, school, hospitals, especially children’s hospitals would be $100.00, and it will bring joy and love into the hands of young readers every night at bedtime! Feeling loved is essential positive mental wellness! Please help me get this message out to the masses and please share your ideas to help children with me as well. We have a lot of love and well-being to nurture and share. 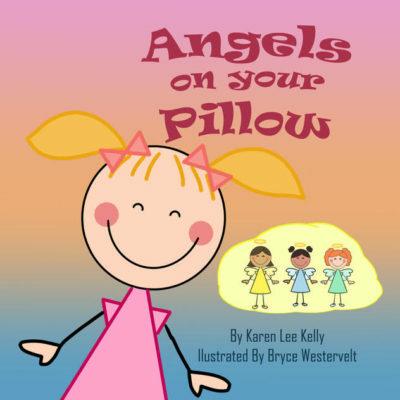 For more information please call me at 847.987.AOYP (2697) or email author@angelsonyourpillow.com.